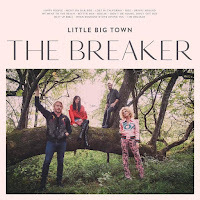 Little Big Town "The Breaker"
Almost twenty years after the group was first founded and after eight studio albums Little Big Town show no signs of fading as they continue to develop as a quartet and release incredibly impressive music. Yesterday, February 24th, saw the release of their newest studio album The Breaker which calls upon the rootsier sound that gave albums like The Reason Why their grounding whilst still showing the group's development through their subsequent releases. I have often thought that tracks with a rootsier, usually relatively stripped back, production are where Little Big Town are at their strongest and that is certainly supported with this release. There are however still a few rockier tracks on here and for the large part they work very well. Rollin' for instance has a great groove that won't fail to make you want to tap your feet along and Jimi's lead vocal suits the overall production really well. Jimi also takes the lead on one of the other relatively rocky tracks on the album, Night On Your Side. The short a capella opening immediately makes you sit up and take notice and the track smoothly carries you with it all the way through. I am however unfortunately not entirely drawn in by additional rocky number Drivin' Around. It may be one that ultimately grows on me but certainly at the moment it doesn't feel as though it compares favourably to the rest of the album and ultimately feels a little messy. The Breaker sees Kimberly Schlapman take lead vocals on only one track in the shape of Beat Up Bible but it is a really stunning moment in the album. You can't fail to deeply connect with the emotion pouring out of the track when listening, Beat Up Bible is a track that simply embraces the listener and pulls them in to a world of goose-bump inducing harmonies, incredibly emotive lyrics and well-rounded instrumentalisation. A perfect track for Kimberly to lead, her vocal balances through vulnerability and strength in a compelling way that really makes the track what it is. Absolutely stunning. With it's relaxed overall vibe courtesy of a soft yet steady drum beat and interweaving guitar lines, We Went To The Beach is another strong track. Arguably one of the best Phillip led numbers on any album, the reminiscent feel to We Went To The Beach is grounded through the subtle production and the fact that the majority of the vocals come from Phillip on his own (with the group only harmonising on certain lines) interestingly serves to add to the appeal of a song which is impressive in it's genuine naturalness. Opening track Happy People blends a thoughtful, reflective lyric with a catchy melody and strong vocals to create an irresistible overall listening experience. A very strong choice to open the album, I imagine this will be particularly popular in a live performance. Happy People as an overall track is one that encourages you to listen again and again and rewards you with a song that will leave you singing along and tapping your feet long after it's finished. Whilst the fact that I have been a fan of Little Big Town for many years may lead some people to believe I am positively biased towards them there can be no taking away from the fact that they are an incredibly talented quartet and that this is a brilliant album with a impressive selection of tracks. I'd also like to take a moment here to applaud the song-writers who have ably crafted the stories that Little Big Town deliver throughout The Breaker. 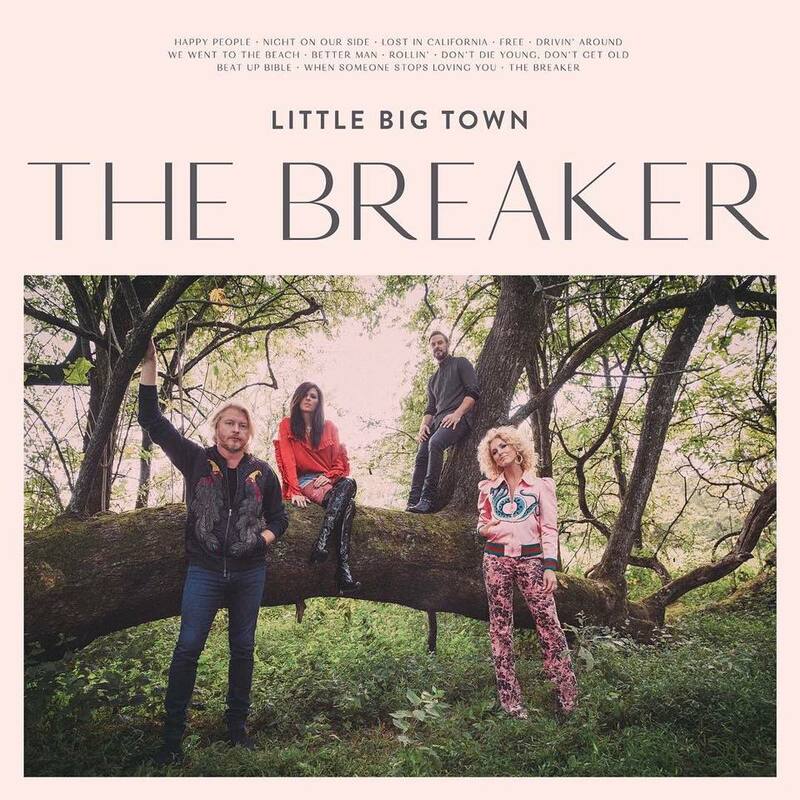 Little Big Town are, without a doubt, a group who continue to go from strength to strength and The Breaker is an album that deserves to have a place in every record collection. I would urge everybody to buy what is, at it's core, a remarkable release. Labels: Little Big Town "The Breaker"